A resilience strategy is currently being developed and will be considered by City Council in spring 2019. The Chief Resilience Officer is holding a series of stakeholder and public workshops in fall 2018 to seek input from the public on the development of the Resilience Strategy. Cities experience two kinds of resilience challenges: acute shocks, which are sudden, sharp events that threaten the immediate well-being of the city; and chronic stresses, or daily challenges that weaken the fabric of the city and impact its ability to bounce back in response to a shock. Many of Toronto’s biggest potential shocks are related to climate. The city is more at risk of climate shocks now than at any time in the past 50 years. 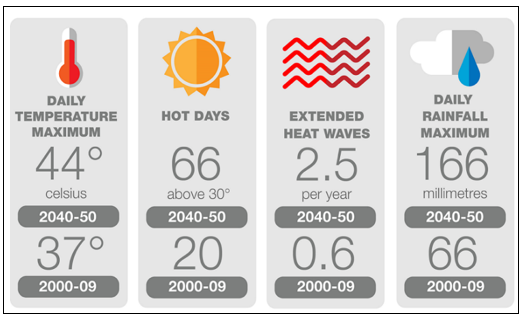 The Toronto Future Weather and Climate Driver Study forecasts that in twenty to thirty years, the city will face a seven-degree increase in maximum temperatures, triple the number of days above 30°C, four times the number of heat waves, and less frequent but more intense rain events with a greater potential to cause flooding. Toronto is facing chronic stresses that challenge residents’ ability to thrive and make it harder for the city to bounce back in the face of potential shocks. Toronto’s growing prosperity is not be shared by all residents. There are significant social and economic disparities that exist in Toronto, primarily between the inner suburbs, where there is a concentration of poverty, and more central, transit-friendly neighbourhoods, including the downtown. These growing disparities are felt when residents try to access housing, get around the City, or deal with an emergency. Building Toronto’s resilience requires looking at a city holistically: understanding the systems that make up the city and the risks they may face. Doing so requires a different way of planning, developing policy and delivering services. It requires greater integration and collaboration between and across divisions and between government and others sectors that typically operate in silos. It also must be informed by lived experience and integrate the voices and perspectives of diverse stakeholders. The City is in the process of developing a Resilience Strategy, to be completed in spring 2019, as part of its involvement with 100 Resilience Cities (100RC). In 2015, the City applied for funding to 100RC and was selected in May 2016 to join 99 other global cities as part of the 100RC network. 100RC was established to help cities around the world become more resilient to the social and economic challenges of the 21st century. Cities within the network are provided with funding to hire a Chief Resilience Officer and additional tools and resources to develop and implement a resilience strategy. City Council directed that the Chief Resilience Officer position be created in December 2016, and directed that after the completion of the two-year grant from 100RC, the City Manager consider making the position permanent. Since 2016, both TransformTO Climate Action Strategy and the Long-Term Financial Plan identified resilience as a key principle or action.